My last goat kid left for his new home the other day. He was the last of this year's kids to be sold, so now I'm down to a hopefully manageable number of goats for the winter: two bucks, four adult does, and two doelings. Still to go are some of the chickens and ducks. Racer getting one of his last mom-cuddles before leaving for a new home. Manageable, of course, depends on a couple of things. For us, winter pasture is key. Secondly hay. These are the primary foods for goats, or should be, if nutritional quality is good. The winter garden, summer-harvested grains, or boughten feeds should be supplemental. 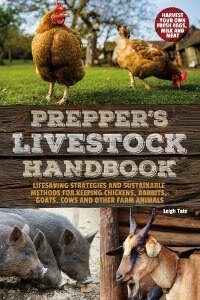 And if the pasture and hay can support the goats, then most of the summer's harvest of grains can supplement the poultry (which are also grass and insect eaters). Anyway, this is the model I'm working toward. Trying to develop good quality sustainable pasture has been an ongoing challenge. As a goal it has included a huge learning curve and a lot of work on our part. Some of the things we've tried have been successful, others have not, and so much depends on the weather. In reality this has often been a source of discouragement as we strive to reach our self-sufficiency goals, but I'll have more on that in another post. The idea of winter numbers for livestock is an idea that comes from nature. In spring, herds and flocks increase with young, and the spring and summer growth sustain them. As the young mature, many of them head out on their own, thinning the numbers as the forage dies back. There's less to eat but less animals to sustain. This is somewhat theoretical, of course, and we could go on and on about the evils of urbanization and fences for wildlife, but that's not my point. My point is that nature offers a model for seasonal management of homestead critters. plentiful egg layers, but they certainly can make a lot of ducklings! In our case surplus animals are sold, traded, or feed us. In fact, I'm usually able to make enough from sales of goats to buy supplemental feed for everybody all winter. So in that sense, the critters are somewhat self-supporting. I've experimented with this in other ways too. Several years ago I sold eggs to buy chicken feed, so that the chickens could pay for themselves. I don't do that anymore. Why not? Well, if evaluated strictly in terms of money for feed it worked, i.e., I sold enough eggs to buy enough feed. But chickens are hard on the land, and if allowed unrestricted access to everything on the place they become destructive. They scratch up the mulch and soil around newly planted trees and bushes and often kill them. If they manage to get into a newly planted pasture (and there's always one, two, or four who manage), they eat all the pasture seed or seedling grass. The ducks love seed and grass too. In other words, our poultry have been one of those challenges I said I'd blog about soon! The conclusion we've come to is to keep just enough chickens for eggs for the two of us, which is probably about six hens. And one pair of breeding ducks. This will help both in terms of the amount of feed we need, plus the toll the poultry takes on the land. Counting the cost includes so much more than money, then. It must also account for the impact the critters have on the land, plus the time and energy necessary to utilize the management techniques required to keep a balance. And it's a highly individual decision. What we've concluded meets our needs may not be the same for someone else. It may even change for us from year to year. A homestead is always a learning experience, always a work in progress. Every year is a balancing act; sometimes I feel like a plate spinner falling behind. It's definitely a learning experience. When we had goats, it was very difficult to locate hay at a good price around here. Finding it at all was a chore. Farmer's don't plant it as much in these parts. We had to go online to find it with a drive involved. Kristina, that's the problem I have. It's common practice here to bale up a field of dead weeds and try to sell it as hay. I've had some so bad that my goats won't even touch it. We're trying to grow as much of our own as possible, but also have to buy some. That means travel, just like you said. Very well written post. I came to that conclusion many years ago that just because something is worth it monetarily, doesn't always mean it is the right way to go. It also works the other way to. Just because something isn't worth the money to do, doesn't make it something not worth doing. It's all about finding that happy middle ground. Thanks Ed. I think understanding true value is an important lesson to learn. A thing has to provide purpose and a sense of satisfaction to make it worth it. In that sense money becomes a tool, not a goal in itself. 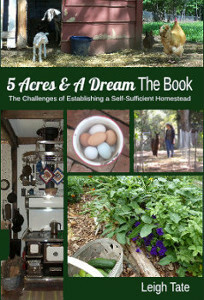 "A homestead is always a learning experience." Boy, is it ever!! This post is fascinating to me, and so informative. I'd really like to hear your take on the impact of your goats (and how many goats you keep) on your property. You are spot-on regarding chickens. Right now I have 7: 2 roos, 5 hens, only 2 of them old enough to lay. My hubby crunched the numbers and decided there was hardly enough cash to be found in selling eggs, to warrant keeping 50 hens. So many small farmers try to do that. We only keep enough for our eggs. But we've toyed with the idea of goats. We have nearly 3 acres of cleared pasture that was used previously for small horses. My husband scythes it and mows it and uses it to make compost and then soil. We like our present system, but toy with goats too, for milk. Just haven't decided, but thanks for the ideas here that make us consider all the variables! M.K., I love that you all are thinking along the same lines. Now with chickens, Joel Salatin says there's money to be made in broilers. He makes a good case for that in both You Can Farm and Salad Bar Beef including telling you how to do it. It's not a route we plan to take, but it seems like it would work well for some. I love having goats. I like them as a species, and there's no greater joy than bouncing baby goats in the spring. I love having the milk and making fresh homemade dairy products. With 3 acres you would have plenty of room for a couple of goats, especially if you used temporary fencing to divide the pastures into smaller paddocks for rotational grazing. Goats do need good fences, however! If you have any questions just ask. But I'll warn you ahead of time that I tend toward the enabling side of goatkeeping! I hope you all made out ok down there during the storm. Things here are getting back to normal, but it was not an experience I'd care to repeat any time soon. s I have followed you and your husband on your journey it emanates hope and renewal even if most of the world has totally lost contact with reality and each other. keep doing what you are, every single voice of hope and reason helps preserve the good for a bit longer. Keeping you both in my thoughts and prayers.